News — August at Patisserie Valerie! 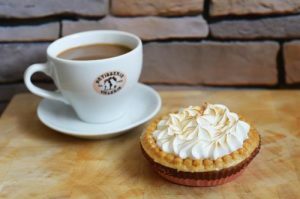 Patisserie Valerie have launched a brand new limited-edition product for August! £3.55 dine in / £3.25 take away. A rich butter pastry case filled with a tangy lemon custard cream, topped with a soft caramelised meringue. Launches into all stores from Monday 6th August until Friday 31st August 2018. 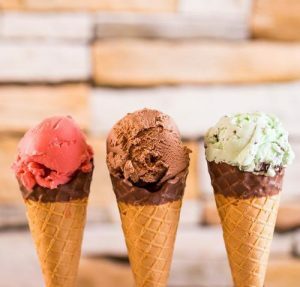 Salted Caramel, Mint Chocolate, Chocolate, Strawberry, Oreo Cookie, Lemon Sorbet, Orange Sorbet and Seeded Vanilla. 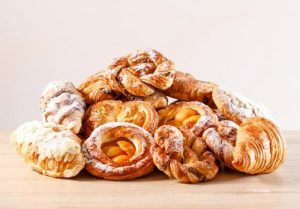 Gianduja Croissant, Pain Aux Raisins, Lemon Swirl Danish, Apricot Danish, Cinnamon Danish, Almond Croissant and Plain Croissant. Available to purchase in any of our cafes. Prices vary. The perfect treat for anyone busy on the go in the mornings. Save £5 on our exquisite Double Chocolate Gateau when you order 8” or above. 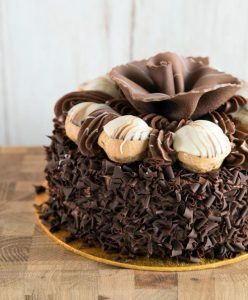 Light layers of chocolate sponge with rich chocolate cream, topped with chocolate covered profiteroles, lovingly finished with a decorative chocolate flower – the perfect gateau for any chocolate lovers! 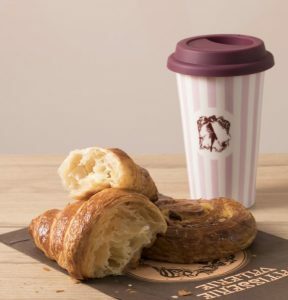 Bring in your own reusable cup and you can save 50p on any take away beverage. The perfect companion to our NEW range of freshly baked pastries.